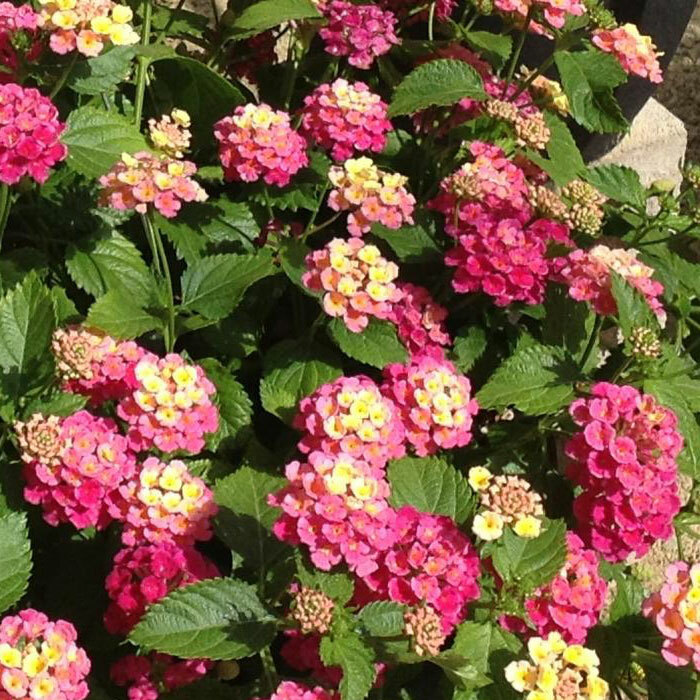 Notes: This lantana has pink, red and yellow flowers that cover the plant for months on end. Extremely butterfly friendly, it makes a great border or mass planting for a show of color. Will freeze back in cold however usually recovers nicely in the spring.